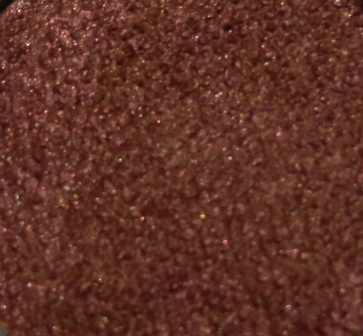 Last week I showed you a peek at a Fyrinnae pressed shadow in Woolly Mammoth. Today I am showing you, Te Amo pressed shadow and swatches of all three shadows I received from Fyrinnae; Woolly, Mammoth, Te Amo and Rapunzel Had Extensions. The shadows come in a plastic silver compact form, much like a MAC shadow. Each shadow has 2g of product. 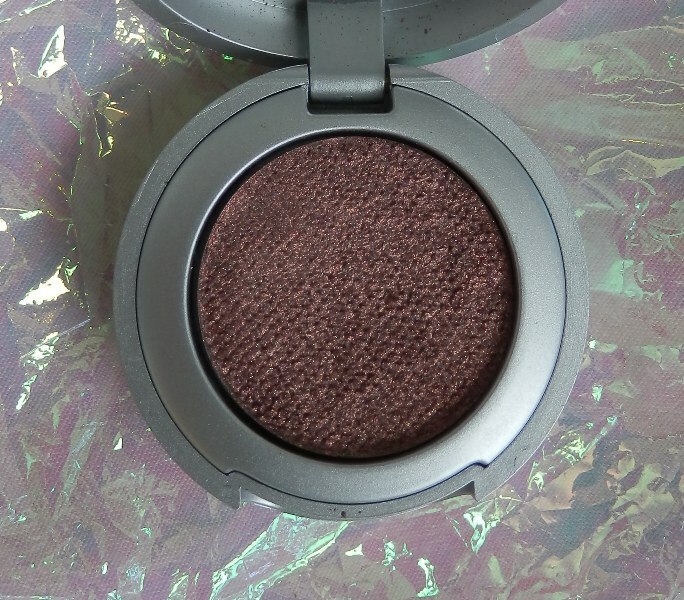 All shadows were swatched over UDPP. Te Amo is an interesting shade, to say the least! In the pan, it looks like a purple mauve. I do not own the original loose shadow so I cannot compare the two. When I started to do swatches, I hated my first set so I washed my arm and redid them. 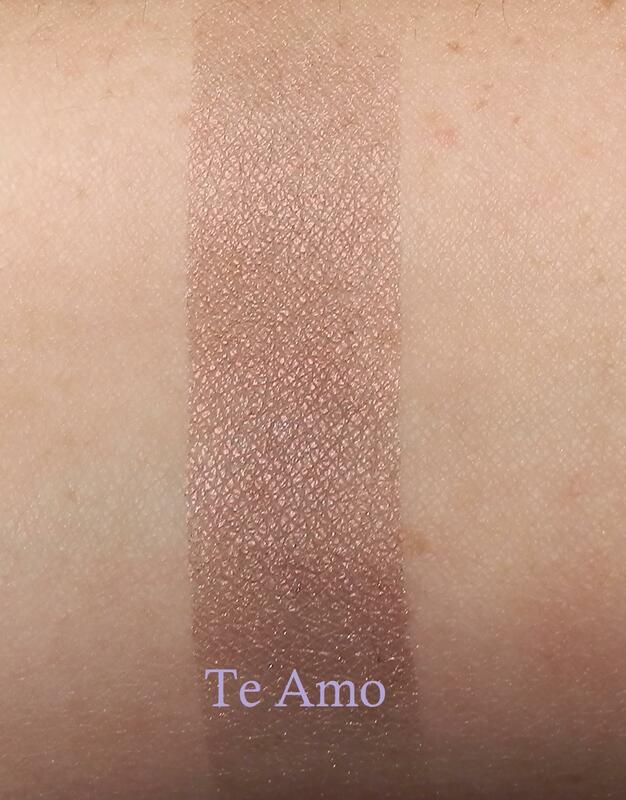 That’s when I noticed how different Te Amo looked from the first swatch. 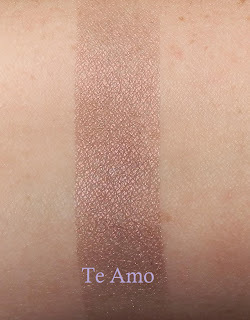 In the group swatch below, Te Amo looks purple-y mauve with a copper shift to it. I was like this is cool. I was out on my patio doing swatches and my neighbour was sitting on their condo balcony listening to me talk to myself and probably wondering why is she taking pictures of her arm? LOL. Crazy makeup lady. The second swatch of Te Amo was taken inside by the window in indirect sunlight. 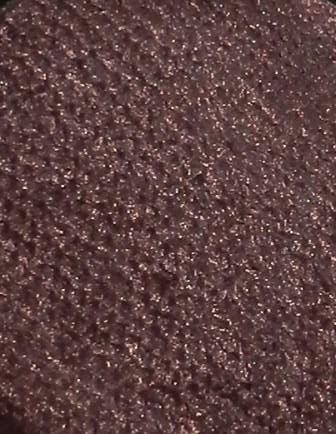 This swatch was more a pink mauve with copper shimmer. It was totally different! What the what? I bet if I took more swatches in different lighting it would change again, WOW. I included a close-up shot of Rapunzel Had Extensions. Mine broke but I had to swatch if because it so lovely. It is a golden pink that would work well with both Te Amo and Woolly Mammoth. Gorgeous. I also included a close-up of Woolly Mammoth for reference. You can see my review here for Woolly Mammoth. What do you think? Are you going to try the pressed Fyrinnae shadows? 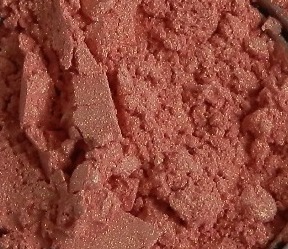 Ooh, I have been thinking about trying Fyrinnae ever since you first blogged about the company. I just wanted to grab a whole bunch of colour samples to and try a bit of everything. 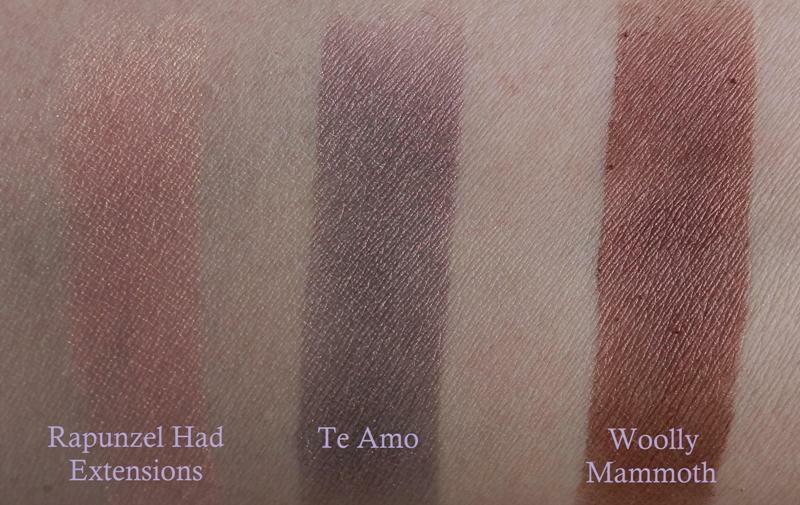 I do like Te Amo, but darker hued shadows can make me look bruised sometimes so I have to be careful! All of us crazy makeup ladies need to just get a building of our own where there is proper ventilation for us to do our nail polish swatches and good lighting to take pictures! I bought a bunch of more 'neutral' shades (loose shadows) that I think I will swatch in the near future. You would probably love those. The samples are generous, the prices are great and the shipping cost is really good. I would try them if I were you! I am such an enabler! I imagine there are some pretty funny swatching stories out there! LOL I find lighting the hardest to nail down.